Delinquent runaway Taira (Yuya Yagira, Nobody Knows) leaves his hometown for the city, where he aimlessly roams the streets picking fights with random bystanders. Rallied on by a high schooler, Taira’s street-side scuffles soon turn into a sinister game. Destruction Babies is a brutal and unflinching drama depicting the unstoppable desires and impluses of lost young people intoxicated by violence. The commercial debut by director Tetsuya Mariko, this exciting and unpredictable film scooped the Prize for the Best Emerging Director, Locarno International Film Festival upon its international premiere in 2016. 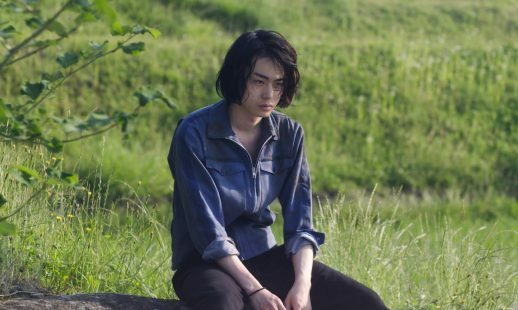 The film was ranked as the 4th best film at the 90th edition of the Kinema Junpo awards, where the film also won awards for Best Actor (Yuya Yagira) and two awards for Rookie of the Year (Nana Komatsu, Nijiro Murakami).